Apartment building superintendent Cleveland Heep rescues what he thinks is a young woman from the pool he maintain but he discovers that she is actually a character from a bedtime story. After 1999’s Sixth Sense became a surprise hit, M. Night Shyamalan enjoyed a pretty nice run. Of his first four movies, only 2000’s Unbreakable failed to cross the $100 million threshold, and with a gross of $94 million, at least it came close. His first true flop, 2006’s Lady in the Water truly tanked. Given a prime summer release date, it found favor with neither moviegoers nor critics, and it made a very lackluster $42 million – a figure $52 million below Shyamalan’s second-lowest-grossing flick until that time. I wish I could claim that Water stands as an unfairly ignored and maligned effort, but unfortunately, it deserved its fate. Water opens with a prologue that tells of an ancient but forgotten connection between mankind and water dwellers. The latter try to rekindle these bonds when they send their young to approach the folks on the surface. The film then introduces us to Cleveland Heep (Paul Giamatti), the sad-sack manager of a Philly-area apartment complex. Weird clogs start to occur in the compound’s pool, and Cleveland soon finds the source: a water nymph named Story (Bryce Dallas Howard). After he hurts himself in pursuit of her, she rescues him and they get to know each other. When Cleveland asks her where she’s from and she responds “narf”, this sets off a slow path toward enlightenment. He discovers that this refers to a water nymph in an Asian legend. Cleveland pursues details in this tale as he starts to believe in its reality. The movie follows Cleveland’s attempts to discover more as well as his work to fulfil the prophecy. Water deviates from Shyamalan’s usual pattern in that it lacks the “big reveal”. Each of his first four flicks came with some major twist at some point, but Water plays things in a much more straight way. Sure, it gives us various attempts at intrigue, but it fails to throw out any form of massive shock. I think that’s a good thing, as Shyamalan’s MO had already become predictable. However, I wish the director had come up with something more stimulating than Water to depart from his usual methods. The flick originated as a bedtime story for Shyamalan’s kids, and he finds it tough to both expand the tale and make it interesting for adults. In terms of the former, I think Water boasts maybe half an hour of actual plot. 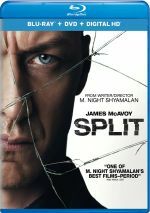 Shyamalan takes the story’s thin framework and stretches it to its breaking point to make feature length. This means that the plot stalls badly as it goes. Not much happens for much of the film, and various attempts at intrigue fail to muster much to keep us involved. The flick also features a rather messy and convoluted tale. All the goofiness like the “narfs” and the “scrunts” just makes matters absurd. Really, the movie provides a painfully basic plot mucked up by supernatural elements and silly terms. Water seems simplistic, naïve and patronizing all at the same time. It starts with a prologue that throws out the issue about how man needs a savior and a magical path from war. Shyamalan makes his pretenses obvious right off the bat and these lend a condescending tone to the proceedings. I think the various characters buy into the whole supernatural tale awfully quickly. Usually movies go down the other path, as people ignore all the signs, but here the participants get into fantasy without much information. <> Cleveland swallows matters without much evidence, and all the other residents go along ever more easily. If we found a few more skeptics, it’d make matters more palatable, but since the entire party gets into it so readily, it’s irrational. The extravagant, one-dimensional characters all exist to fit plot conceptions and little else. At least Water features a nice performance from Giamatti, as he adds weight and emotion to an otherwise flat character. The other actors try their best as well, but the thin personalities they need to inhabit give them little room to prosper. Water becomes sporadically entertaining but it collapses under the stress of its goofiness. We find too many modern touches to feel like a classic fairy tale, and there’s not enough sparkle to make it memorable or magical. Silly and messy, I find it very hard to care about Story or her story. Lady in the Water appears in an aspect ratio of approximately 1.85:1 on this Blu-ray Disc. A release from Blu-ray’s very early days, this one really showed its age. Sharpness became a major flaw. Little about the movie displayed positive delineation, as even close-ups tended to appear a little soft. Wider shots turned ugly, as they looked ill-defined and mushy. Much of the time I felt like I was watching a DVD in terms of clarity – and not an especially good DVD at that. Neither jagged edges nor moiré effects caused concerns, but some light edge enhancement seemed present at times. As for print flaws, the movie was a little grainier than normal, but it otherwise seemed clean. Colors looked a bit dense at times. Parts of the movie showed a decent balance, but on other occasions, I thought the tones came across as moderately thick and muddy. The colors tended to be lackluster most of the time. Black levels seemed inky, and shadow detail was iffy. These shots suffered from a bland feel that made low-light moments drab and muddy. The film could definitely use a new transfer, as this one looked mediocre at best – and it rarely was at its best. The Dolby Digital 5.1 EX soundtrack of Lady in the Water seemed more positive, though it still wasn’t exceptional. It presented a soundfield that generally emphasized the forward channels, but it opened up very well at times. The mix showed good stereo music along with a clean and accurate atmosphere from the front. Much of the time, the movie featured simple environmental audio. The low-key nature of the story didn’t require much from the surrounds, though they demonstrated solid ambience during the outdoor shots. The rear speakers added to the film whenever the scrunts became more active in the story. Those critters scampered all around the spectrum cleanly and effectively, and those elements helped make the movie creepier. Audio quality was consistently positive. Dialogue always sounded natural and warm, and I noticed no issues related to intelligibility or edginess. Effects appeared fairly lifelike and accurate, with no signs of distortion. Music was reasonably bright and lively, with good dynamics. Across the board, bass response sounded tight and deep. Ultimately, the soundtrack of Water worked fine for the movie. How did the Blu-ray compare to the DVD version? Audio remained literally identical, as the Blu-ray failed to include a lossless option. As for the visuals, they disappointed. The Blu-ray essentially looked like a DVD, so I saw little that offered an improvement. The Blu-ray might be slightly better than the DVD, but by very little, if at all. This is a weak Blu-ray. The Blu-ray repeats the DVD’s extras, and we start with Lady in the Water: A Bedtime Story. 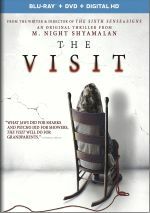 This five-minute featurette highlights director M. Night Shyamalan as he discusses the tale he told to his kids and its adaptation into an actual book. Shyamalan reads from the tome as we see illustrations created for it. I like this glimpse of the inspiration behind the movie, though it works better as a short kiddie story instead of as a full-length flick. A six-part documentary, Reflections of Lady in the Water lasts 34 minutes, 45 seconds. It includes remarks from Shyamalan, associate producer Jose L. Rodriguez, producer Sam Mercer, creature designer Crash McCreery, 2nd unit director/storyboard artist Brick Mason, director of photography Christopher Doyle, production designer Martin Childs, production supervisor Jim Scaife, creature/makeup effects supervisor Mike Elizalde, spectral motion crew Mark Setrakian and Frederick Fraleigh, compositing supervisor Marshall Krasser, visual effects supervisor Edward Hirsh, digital artist Lana Lan, digital effects supervisor Kevin Barnhill, composer James Newton Howard, and actors Bryce Dallas Howard, Paul Giamatti, Bob Balaban, Sarita Choudhury, Cindy Cheung, Mary Beth Hurt, Jeffrey Wright, Noah Gray-Cabey, Bill Irwin, Grant Monohon, Joseph D. Reitman, Ethan Cohn, John Boyd, Jared Harris, and Freddy Rodriguez. “Reflections” offers more information about the film’s genesis and writing as well as cast and characters, storyboards and the movie’s look, locations and sets, bringing the various creatures to life, editing, and the score. Though we get a decent overview from “Reflections”, it lacks true depth. There’s too much happy talk, especially when it comes to the praise that all ladle onto Shyamalan. Still, plenty of useful notes emerge, especially when we learn about the massive apartment complex set created for the movie; those elements offer the most interesting aspects of the piece. This is a sporadically compelling program. Auditions fills two minutes, 10 seconds, as we see tryouts for various supporting actors. Quite a few performers appear, so expect to see only a few moments from each. Most of them feature feigned vomiting. In addition to two trailers, we also find a three-minute, 16-second Gag Reel. Lots of goofs and giggles appear with little actual entertainment. Six Deleted Scenes go a total of five minutes, one second. The first two provide a little more early exposition with Cleveland and Story, while the third just shows a quick shot of the sprinklers as they turn on again. Scenes four, five and give us a bit extra with the supporting characters, including information about Story’s fate. The only interesting one provides a funny reference to “The Three Little Pigs”; the other five are pointless, dull or both. 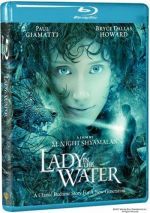 After a good start to his career, M. Night Shyamalan went downhill, and Lady in the Water accelerated that decline. Slow and goofy, the movie offers little to make it work. The Blu-ray brings us decent audio and supplements along with surprisingly bad picture. Water is a silly and forgettable film.